A thread a while back mentioned early body builders for Ford. 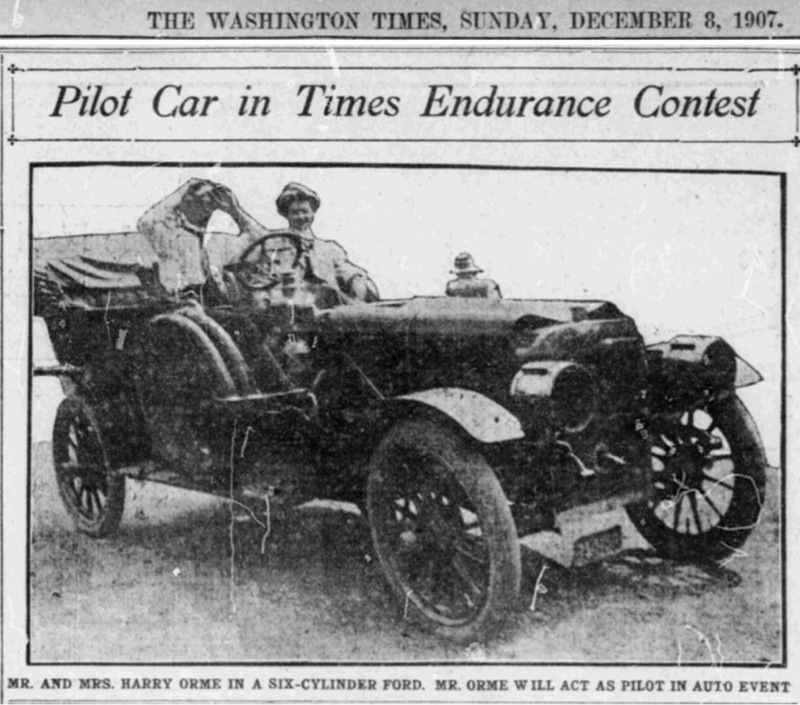 I believe Hap or someone also indicated other companies (maybe mentioned in Carl Pate's book on early Fords too) were used in addition to Wilson. 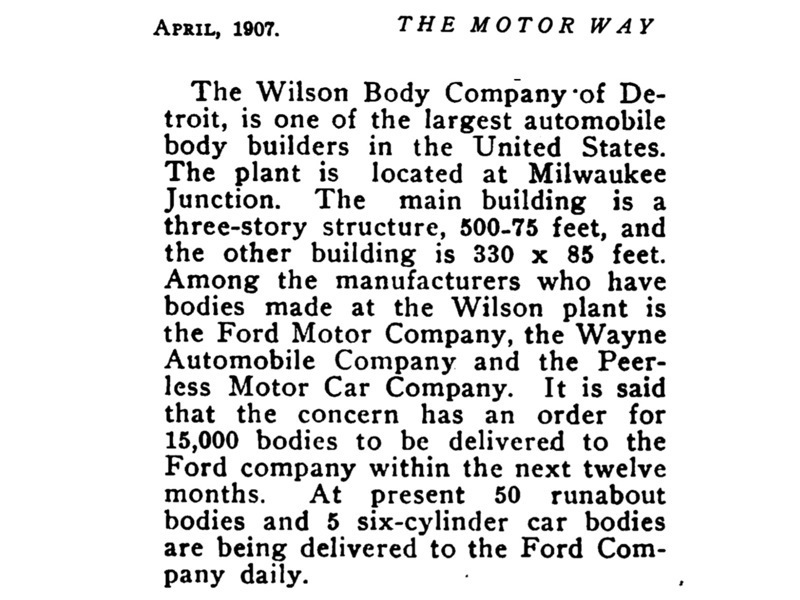 The article appeared in "Motor Way" magazine, April 1907, saying of Wilson Body Company, "At present 50 runabout bodies and 5 six-cylinder car bodies are being delivered to the Ford Company daily." It also says Ford has a contract for 15,000 bodies over the next year. Thank you for posting. Yes, Beaudett produced the 1908 Model S Roadster bodies for Ford. 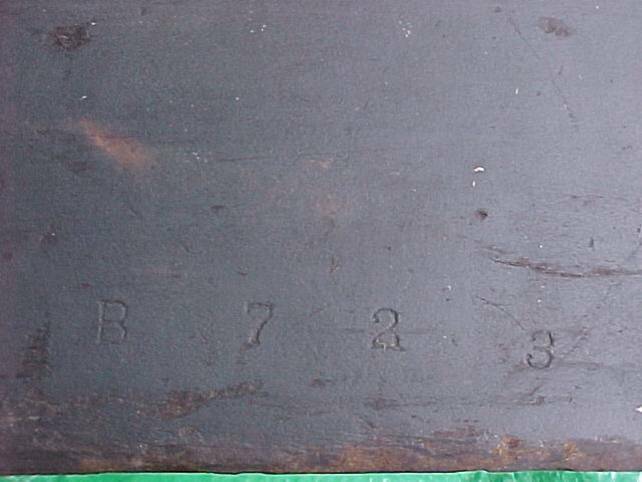 Below is a photo of the body number on Andrew Brand's USA produced Roadster body. Note in many cases the Beaudett number on the front seat frame and the Beaudett number on the bottom of the mother-in-law seat do NOT match. That is becuase the rear seats were off the car during testing (see the photo of the Model S Roadsters that have the rear seats removed in the photo in the run up yard page 32 of Stern's "Tin Lizzie"; page 276 of Miller and McCalley's "From Here to Obscurity" and same concept but a different photo see page 5 of Kreipke's "The Model T"). Again, thank you for posting the reference. There is a great story in Charles Sorensen's book as a reference to Wilson bidding way too high on the contract for Wilson to furnish Model N bodies to Ford in 1906. Charles Sorensen was there when Henry Ford made a fool of Wilson. Sorensen describes in great detail what the Piquette plant was like and who the personalities were, and how they acted. Thank you for posting the link -- it is a great story. Folks just need to scroll down to page 81 to read it. It's interesting to see in the above 1906 ''AUTOMOBILE'' listing that they use the ENGLISH term BONNET for what you guy's call HOOD . WHEN DID THAT CHANGE & WHY ? Not sure why it changed. Maybe we just needed to exert our independence again. 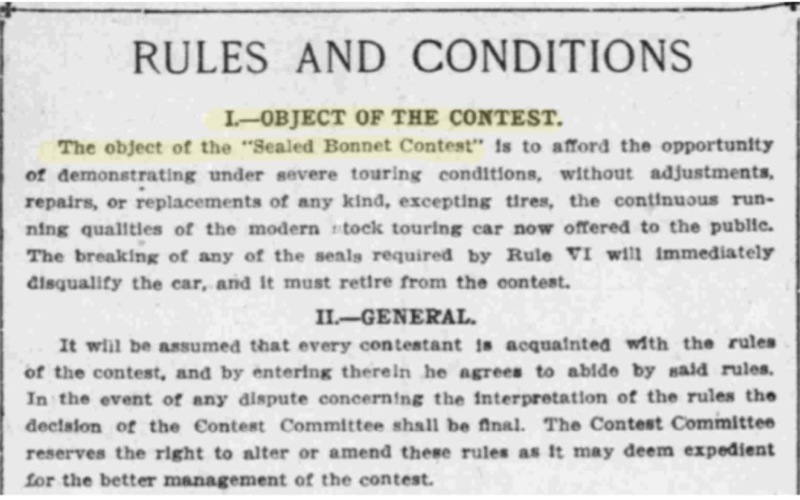 It looks as though we (U.S.) still held "sealed bonnet" contests into the mid teens. I sure enjoy your enthusiasm for doing research Rob. I bet you could find lost treasure. Tough and tenacious, determined. You have all the elements for success.